Tell your doctor right away if you have any serious side effects, including: swelling of arms/legs, mental/mood changes. This medication may cause low blood pressure and possibly fainting. Diarrhea and vomiting may increase the risk of theseside effects. Stop taking this medication and tell your doctor right away if any of these serious side effects occur: fainting, dizziness, severe diarrhea/vomiting. List Amitiza side effects by likelihood and severity. Before using this medication, tell your doctor or pharmacist your medical history, especially of: certain stomach/intestinal problems (blockage, severe diarrhea), liver disease. What should I know regarding pregnancy, nursing and administering Amitiza to children or the elderly? 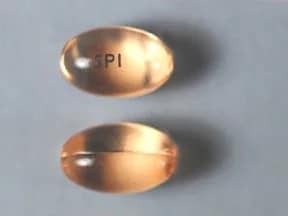 This medicine is a orange, oval, capsule imprinted with "SPI". 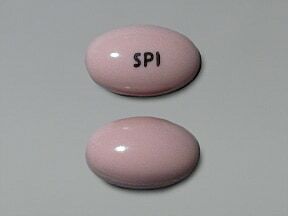 This medicine is a pink, oval, capsule imprinted with "SPI". Are you considering switching to Amitiza? How long have you been taking Amitiza?